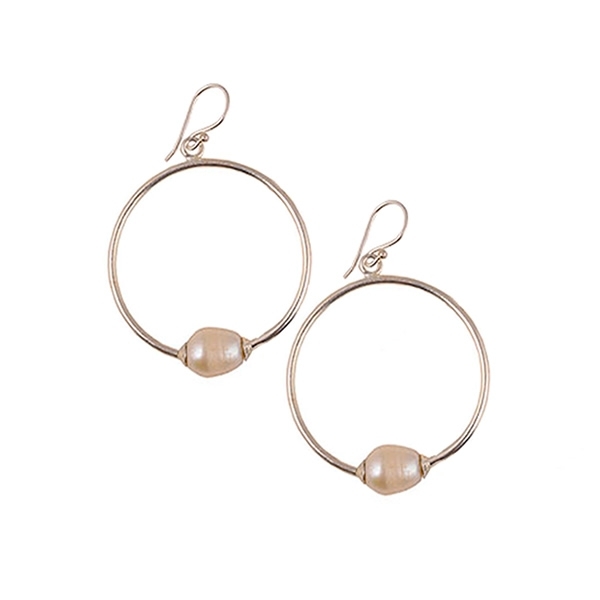 New from the Fair trade collection; these hoop style earrings are handmade in sterling silver finished with a striking fresh water pearl. Fabulous with a maxi dress or simple t-shirt and perfect for day to evening. Approx width of hoops: 1.5" and approx drop: 2.5"